Posted on April 14, 2015 April 14, 2015 by Brian C.
The RoboLancers champion science, technology, engineering and math (STEM) education in our public schools and have become a shining example of what students in a challenging urban setting can do when given the opportunity. Since its founding in 1999, the RoboLancers have grown from five students to a multi-faceted program of more than 112 students. It is now the largest extracurricular activity at Central High School, one of Philadelphia’s most academically rigorous public magnet schools. 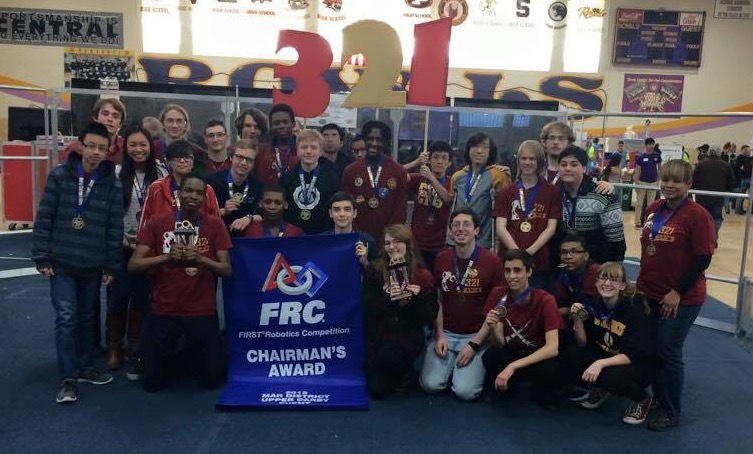 This year, the RoboLancers were one of two teams selected from the 122 teams in the Mid-Atlantic Region to win the Chairman’s Award, the FIRST robotics organization’s highest honor. This award is given to the team that most exemplifies the spirit of the organization and in recognition of its work promoting science and technical education among high schoolers. In addition to the Chairman’s Award, the team has won four Engineering Inspiration Awards over the past three years, which further recognizes our outreach and educational activities. The RoboLancers’ membership is drawn from Central High School’s extremely diverse population. 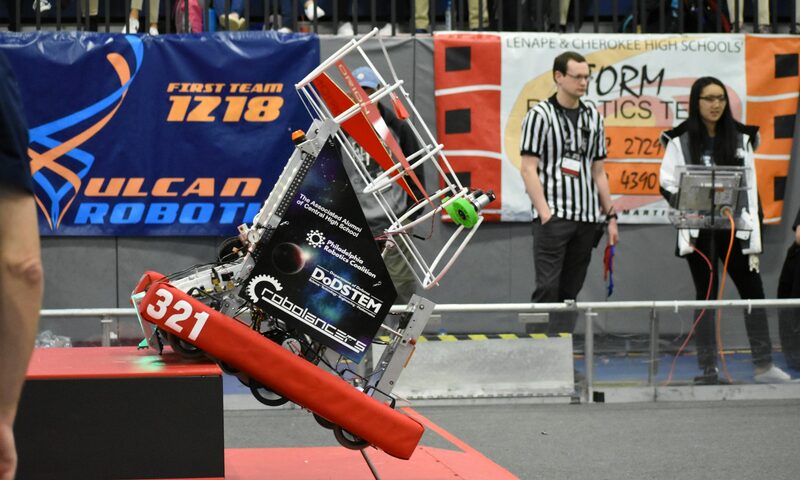 Of the more than 2,200 students who attend the school, 30 percent are African-American, 33 percent are Asian, 9 percent are Latino, and nearly 60 percent come from families that are classified as “economically disadvantaged.” The RoboLancers mainly compete against suburban and private schools with significantly more resources, yet the team thrives despite significant financial adversity. Our outstanding performance has made us eligible for the FIRST Robotics World Championship, one of the most challenging high school robotics competitions in the nation. Teams around the world had six weeks to design and build a 120 pound robot from scratch that competes with other team’s robots by performing a variety of tasks. The design, construction, programming and operation of the robot provide students with critical hands-on experiences they can’t get in the classroom. The opportunities afforded by the robotics competition spark student interest in engineering and help prepare them for college and careers in STEM fields. Yet the RoboLancers are much more than a competitive robotics team. At a time when Philadelphia public schools have suffered devastating budget cuts involving the layoffs of thousands of teachers, the shuttering of dozens of schools, and drastic program and classroom cuts, including the defunding of robotics programs throughout the city, the RoboLancers have stepped up and become the lynchpin of STEM education in Philadelphia. The team mentors other robotics programs across the city, providing technical support, physical space, and tools for other teams. The RoboLancers also host several critical robotics events, including workshops and competitions for elementary, middle, and high school students from around the city. The RoboLancers also partner with the University of Pennsylvania’s GRASP Lab to host the Philadelphia Robotics Expo, an all-day event to promote engineering and science education to more than 400 children through student-run workshops, demonstrations and programs. Supporting the RoboLancers does not just benefit students at Central High School, but thousands of students across the city who participate in the RoboLancers’ outreach program. Our annual budget of more than $30,000 has been raised exclusively through an aggressive student-run sponsorship campaign and the support of the Associated Alumni of Central High School and the Central High School Home and School Association. Yet the RoboLancers’ selection for the World Robotics Championship means the team must raise an additional $25,000-$35,000 to pay for event registration, hotel accommodations, meals, and transportation of students and equipment to and from St. Louis. And we must raise this money in less than two weeks. Your assistance is urgently needed to ensure that this extraordinary team of high schoolers will have the chance to compete in the FIRST Robotics World Championship from April 22 to April 25. Thank you in advance for your support of STEM education in Philadelphia.